“When travelling with my family in Greece we had the feeling that we were part of a big happy family. The sense of warmth and intimacy makes you forget all about having to go back where you came from”. These are the words most visitors use to describe their feelings while on a family vacation in Greece. Smiley faces and hospitality, family warmth and peace, security, untouched nature and magnificent food give a unique combination, making Greece number one family destination worldwide. 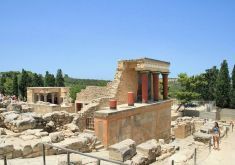 Below is a selection of our predefined Greece family tour packages that we suggest for families travelling with children in Greece. The selected islands are considered child friendly. For accommodation we propose studios or apartments that include self catering and cooking facilities . These holiday packages are fully flexible and can be changed to fit your requirements. A 7 nights / 8 days holiday in west Crete that offers a rich mix of activities and experiences to keep the family excited. 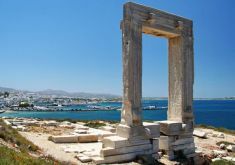 Greek Islands Family Holiday \"C\"
Visit the Greek islands of Paros, Naxos and Santorini with this family vacation package. 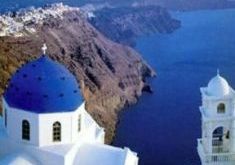 12 night Greek island hopping for families. Enjoy a magical family vacation in the Greek islands. 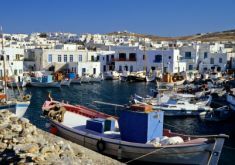 Greek Islands Family Holiday \"D\"
Visit the Greek islands of paros, Naxos and Amorgos with this family vacation package. 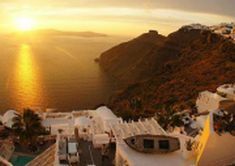 Greek Islands Family Holiday \"B\"
Explore Athens and visit the Greek islands of Tinos, Paros, Naxos and Santorini with this family vacation package.